Pilbara Minerals has declared commercial production at the Pilgangoora lithium-tantalum project in Western Australia while also launching a process to find partners for the site’s proposed stage three expansion. The company will potentially sell a minority stage three project interest in Pilgangoora of between 20 to 49 per cent, which has been received with interest from third parties in the form of project ownership and product offtake. 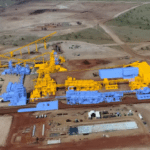 Pilbara Minerals also plans to interconnect its uncommitted stage three Pilgangoora offtake with future joint venture (JV) chemical conversion facilities. The company has reinforced its ambition to increase Pilgangoora’s processing capacity by 50 per cent in a stage three expansion scoping study. Pilbara Minerals could supply an extra 270,000 to 400,000 tonnes per year of spodumene concentrate, which will become available as either offtake to an incoming partner, or for the development of an additional chemical conversion facility with a downstream partner. Several recent transactions in the global lithium industry have highlighted the substantial value that can be unlocked through introducing strategic partners to product offtake and project level interests, according to Pilbara Minerals chief executive Ken Brinsden. 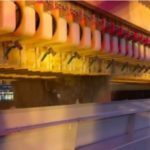 “The Pilgangoora project’s Tier 1 status means that it is attracting significant from participants across the global lithium-ion supply chain – and we believe this interest has the potential to be converted into a transaction that can help support the long-term growth of our business,” Brinsden said. Pilbara Minerals would only introduce a partner if it enhances the value of Pilgangoora and support the company’s strategy and growth aspirations. It expects to reach outcome from its partnering process in mid-2019. 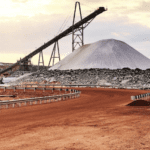 The Pilgangoora project has so far produced in excess of 111,199 dry metric tonnes of saleable product during the 2019 financial year. Pilbara Minerals forecast a March quarter production between 47,000–52,000 dry metric tonnes of spodumene concentrate at Pilgangoora, despite impacts on its shipping activities and the “minimal damage” caused to its site by Cyclone Victoria. 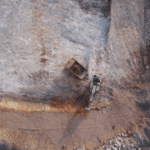 The operation has also completed seven shipments totalling 95,270 wet metric tonnes at 6.03 per cent lithium oxide in the 2019 financial year. Pilgangoora’s process plant feed-rate is now readily meeting design requirements of 270 tonnes of processed ore every operating hour. “The rapid delivery from first drill hole, through construction and now commercial production of the first large scale hard-rock lithium mine to be developed in Western Australia after Greenbushes, with both coarse and fines production, is testament to the hard work and dedication of the team involved,” Brinsden said. Pilbara Minerals is continuing to fine-tune and balance a number of aspects of the complex plant to achieve design recovery levels of 75 per cent by the end of the year. It will shortly commence a series of modifications to the existing plant where prior works were performed by former engineering, procurement and construction contractor RCR. Pilbara Minerals will also seek a progressive increase in Pilgangoora’s production levels to ensure nameplate capacity is achieved during the remainder of 2019. Brinsden said he remained confident Pilgangoora would achieve 100 per cent of production design capacity this year.